Logging on to amazon.com? Stop, and head to smile.amazon.com instead. 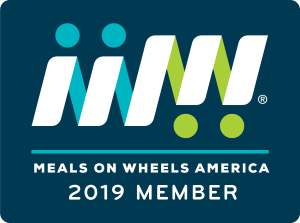 With every purcahse you make on Amazon Smile, Amazon donates a portion of your purchase to Meals on Wheels Riverside with no extra cost to you! Don't just shop, shop for good. 2. You will be prompted to choose a charitable organization. Search "Riverside Meals on Wheels" in the search bar. 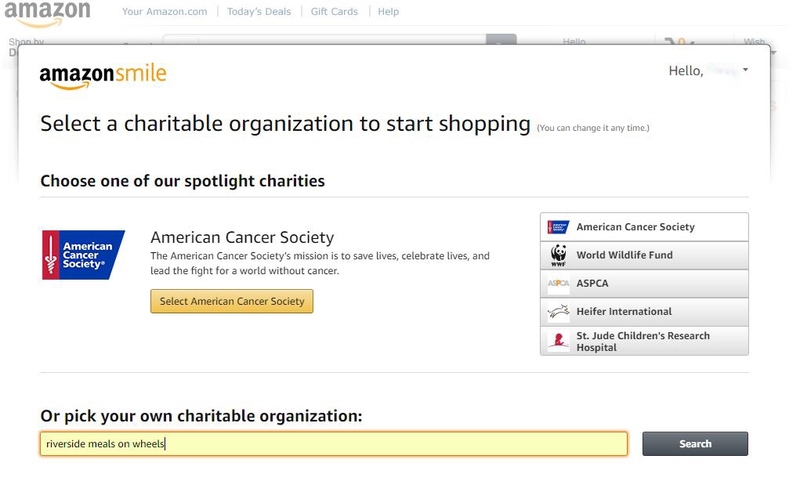 If you are not prompted to choose an organization, then you can change your charity in your account settings. 3. Select "Riverside Meals on Wheels Inc."
4. That's it! You are now supporting Meals on Wheels Riverside as you shop! *Please note that you MUST be on smile.amazon.com for your purchase to be supporting our organization.